The country's premier stock exchange NSE (National Stock Exchange), has launched a new website in the interest of small investors to spread awareness and benefits of buying gold exchange traded funds (ETFs).In 2007, there was only one Asset Management Company (AMC), Benchmark Fund offering Gold ETF,(Gold Bees) in the market. As on date, there are more than 10 AMCs offering Gold ETFs and investing in them is getting more and more popular and easier. 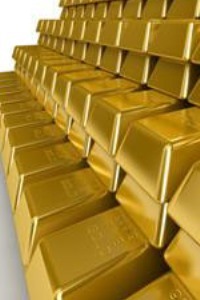 Gold ETF is gold in an electronic form and it is just like buying shares of any company through a broker. Through Gold ETFs, one can even buy just one gram or half a gram of gold at a time. Gold prices had risen more than 20 per cent compounded annual growth rate (CAGR) since April 2007. While 10 gm of gold cost Rs. 9,357 in April 2007, it is now priced at over Rs 20,000. To know more about Gold ETFs, you can read it here at Gold ETFs and Nse's website NseGold. Nowadays NSE is doing lot better.